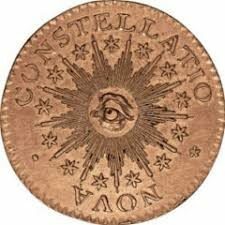 Heads turned last September when, at an otherwise insignificant auction of assorted properties, in a small village northwest of London, a book of specimen bank notes, the property of the widow of an old Waterlow & Sons employee, estimated by the auctioneer at $915, sold for $324,201. 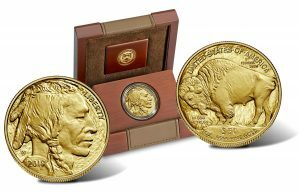 One of the underbidders said at the New York International Coin Convention in January, “Anyone could tell the book was worth far morethan that just by looking at it.” Its true rarity is now coming into focus, thanks to the world currency auction held Jan. 11 at the show. Only a portion of the book was offered in New York, with more to surely follow in future sales. 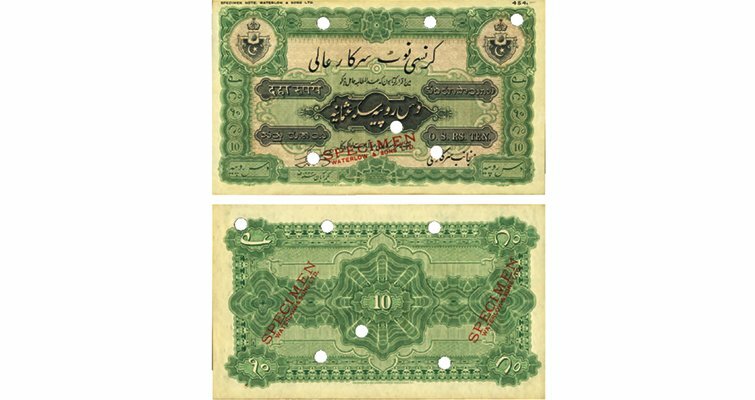 A common price for many of the specimens with the distinctive, usually red, SPECIMEN WATERLOW & SONS LIMITED overprint was in the range of $1,000 to $2,500. A few stood out. 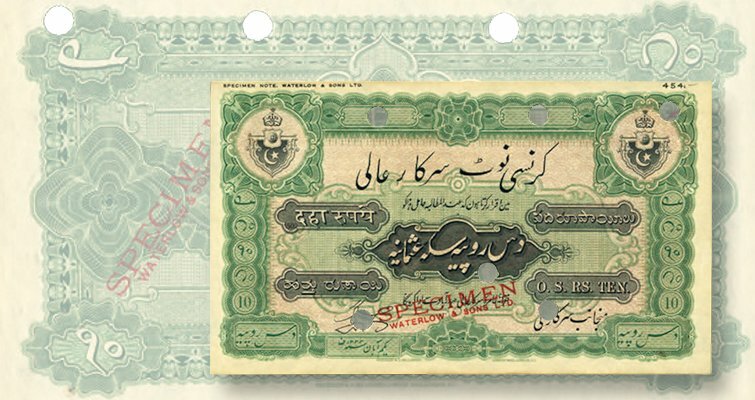 One, at $19,000, was a Hyderabad State trial 10-rupee specimen note, Fasli Era 1333 (1922) printed in green on both sides instead of the usual deep yellow. It was estimated at $3,000 to $4,000 in PCGS Currency Choice New 63. 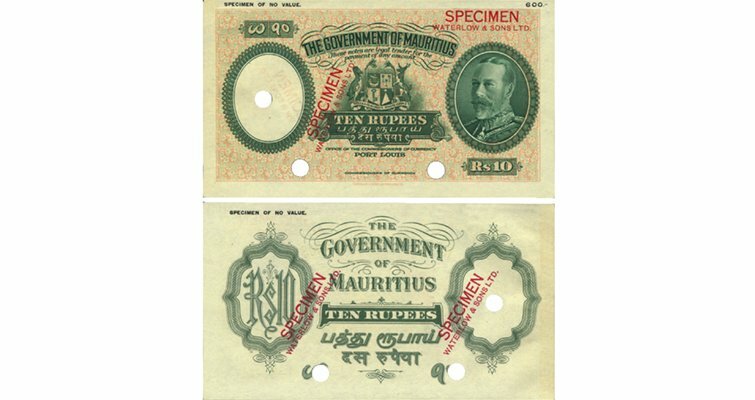 A Government of Mauritius, 10-rupee trial issue, undated (1930), with a bust of King George V, no serial numbers, and in pink and green (instead of brown), was also expected to sell for $3,000 to $4,000 in PCGS Currency Very Choice New 64. 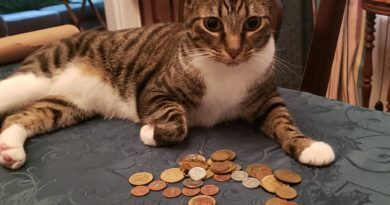 It brought $15,500. 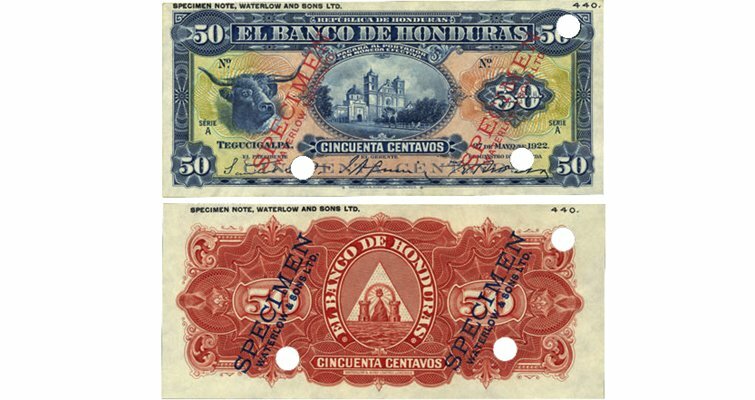 A Banco de Honduras uniface face and back 50-centavo trial issue of May 27, 1922, with no serial numbers and in colors far more attractive than on the issued note, reached $3,500 on an estimate of $800 to $1,200. The face trial note, in blue, pale pink, green and orange, has a church in the center, a bull’s head at left, and the value at right and in each corner. The back trial note is red in color. 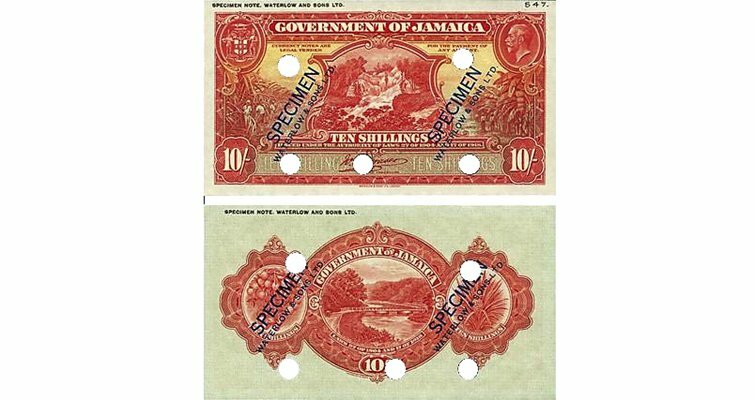 One of the more scenic lots was a JamaicaGovernment 10-shilling trial note of 1918, also with no serial numbers. 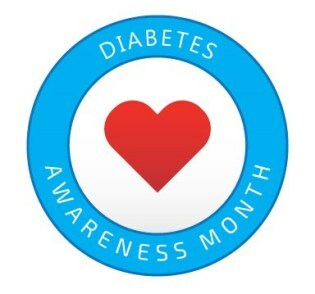 Instead of being printed in green and pink colors, the face is red and pale orange in color. It has a head of George V at top right, and the Roaring Rivers Falls in Saint Anne Parish in the middle. The red back shows the 18th century Flat Bridge over the Rio Cobre River between Kingston and Ocho Rios in the center, oranges at left, and a pineapple at right. 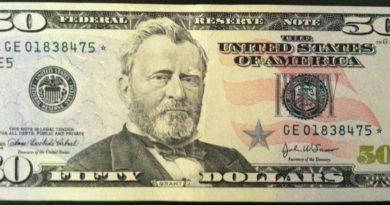 It went for $4,000 in Paper Money Guaranty Gem Uncirculated 67 Exceptional Paper Quality.